Ooga Booga! It's time for a monster! That's right, we're thinking it's long overdue for a very scary creature to show up in your own home. Well, maybe not quite a scary one. Maybe one that's more of the brightly colored variety. And hopefully one that only has good intentions! 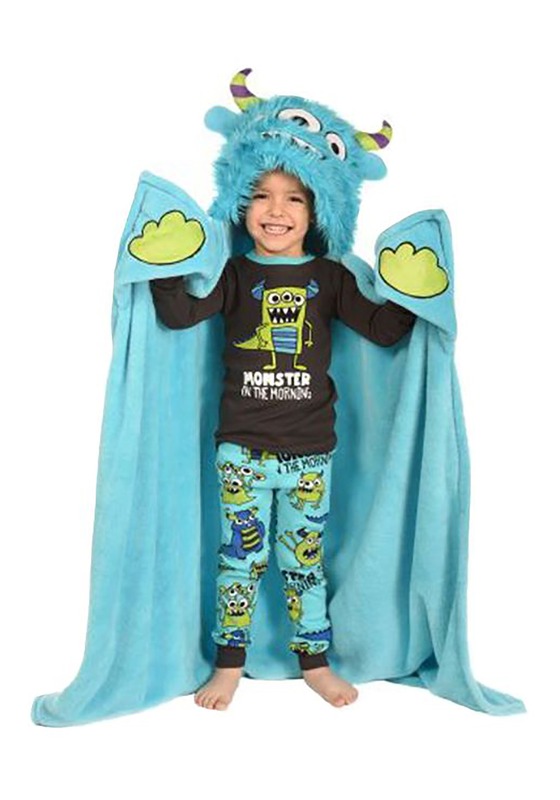 Of course, the monster won't be too scary, because it's only going to be your kiddo, all dressed up as their alter ego. And all it's going to take is this Kid's Monster Critter Blanket to complete the transformation. A fun and cozy style that draws inspiration from furry costume styles, this blanket is sure to provide hours of fun! 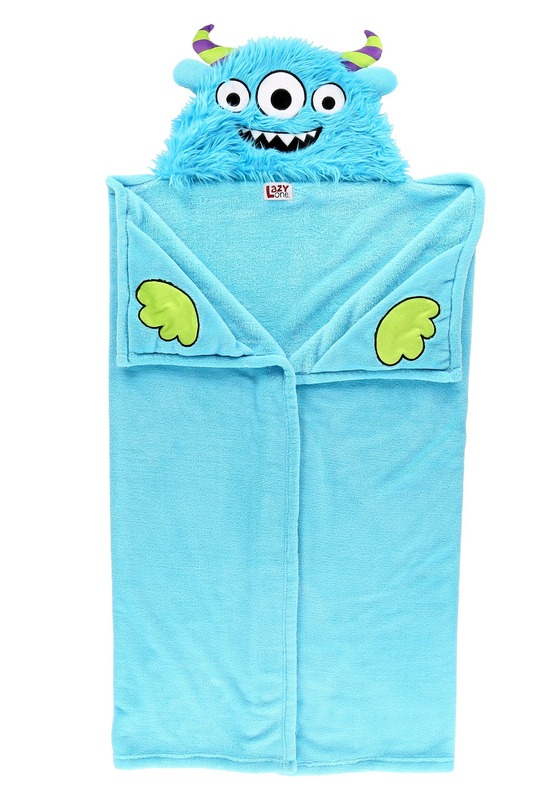 This Monster Critter Kids Blanket is made with 100% polyester super snuggly fleece. It measures about 40" by 50" and features a character hood and hand folds in the upper corners. Appliqued details like eyes, mouth, and hands bring the character to life, and the plush horns and faux fur give it the signature look that's sure to make it a treasured possession. 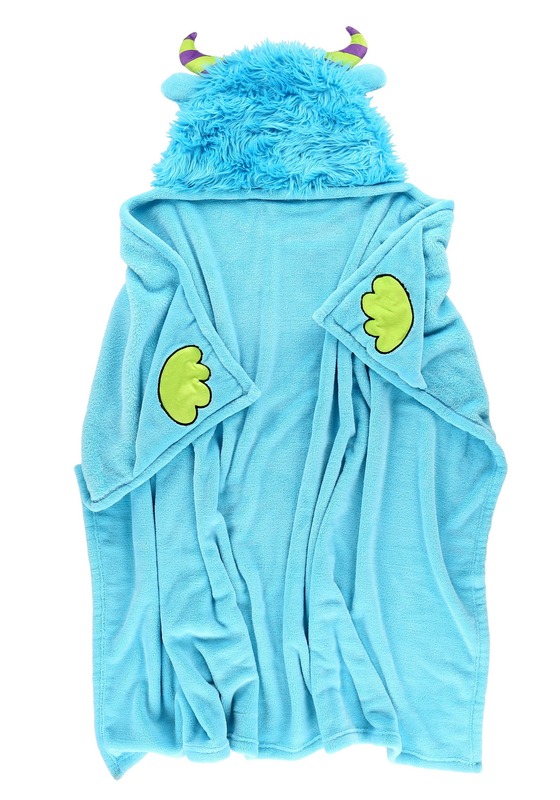 We've got tons of costumes and plenty of great costume accessories just like this blanket. After all, we have the world's largest selection of costumes! With plenty of faux fur to go around, our styles are sure to make playtime extra special. 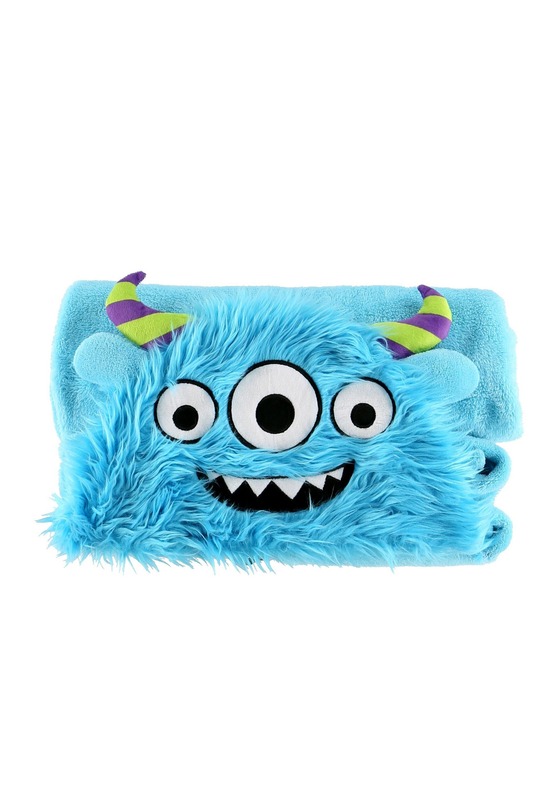 Shop our entire selection for more monster fun!